Spring Arrives! 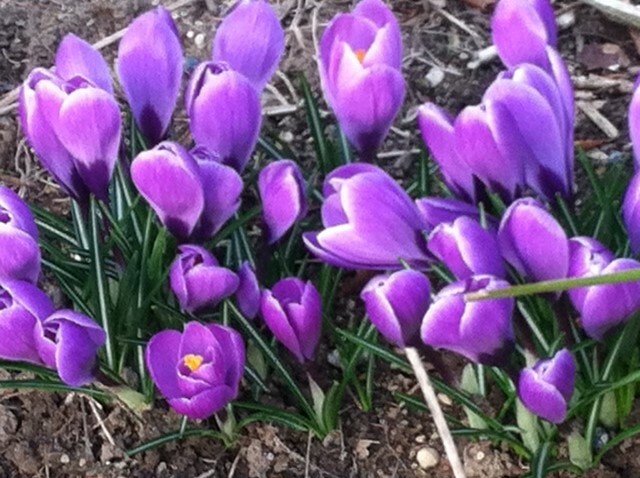 written by Nancy Weshkoff | Moonflower Yoga Inc.
Spring officially arrives this week on March 22. While spring is always one of my favorite times of the year, I am particularly looking forward to this one. Here in Bellmore, Long Island, it has felt like we have been in a bad period starting with the devastation of Hurricane Sandy, followed by a cold winter with snow and a record blizzard in some parts of Long Island. And now here comes spring. Spring means new beginnings. Despite so much bad weather, miraculously spring bulbs have come alive with green leaves coming up from the ground. Some of the bulbs have also started to flower. You can’t help but smile when you see life coming back to the earth again. Like those spring bulbs, we start to dust off the bad memories of the last several months too. Our bodies react positively to more daylight and patches of warmer weather. Yoga provides a great way for us to come alive too. You will gain better strength and flexibility. The deep, cleansing breaths that are part of a yoga practice provide more oxygen to the organs of the body enabling them to function better. And practicing yoga in a small class setting such as Moonflower Yoga enables you to get to know the people in the studio practicing with you and to forge new relationships or rekindle old ones. In this past week at Moonflower Yoga, there were two separate incidents of people who have not seen each other for years coincidentally taking the same yoga class together at Moonflower Yoga and having a great time doing so while catching up in a positive way on how they have been doing. It reminds me of those spring bulbs coming to life again. Come visit the Moonflower Yoga studio if you are in the area of Bellmore in Long Island’s Nassau County. Try one of the great yoga classes that we have lovingly put together for you by our fabulous teachers. Dust off the winter cobwebs and spring to life!